Landmark parliamentary elections took place in Myanmar in November, when Aung San Suu Kyi’s opposition party, National League for Democracy, attained a historic majority. This has raised the possibility of the party forming the country’s first civilian government in more than half a century. The new members of Parliament are not expected to take seats until February, but investors watched the outcome of the vote closely. According to figures from the World Bank, Myanmar’s economy grew at 8.5 percent in real terms in 2014/15 but growth is projected to moderate to 6.5 percent in 2015/16 due to floods and slowing investments. It predicts, however, that medium-term economic growth prospects remain strong, assuming continued progress on reforms post-election. The country's ongoing transition from military dictatorship to democracy, which began in 2010, has had a significant impact on Myanmar’s media landscape. Daily independent newspapers have been in circulation since 2013 for example, and in August 2012, censorship of all news media officially ended, although there continue to be reports of widespread media repression and clampdowns on freedom of expression. Prior to 2011, broadcast media was completely state-controlled – two state television channels today remain under government control while several new private-owned ones have emerged. According to a 2014 report from Peaceworks, which examines opportunities for the media to advance peace in the country, radio is the medium of choice in Myanmar’s more rural areas, while television is outpacing radio in terms of appealing to urban audiences. According to Gallup data quoted in the report, almost 45 percent of Burmese tune in to television news at least weekly. Television viewership is far more common in urban areas – 42 percent watching news daily and 68 percent at least weekly. The vast majority of urban households - 84 percent - have a working television set, yet only 10 percent of Burmese television owners indicate their sets receive satellite signals. While IT connections are still underdeveloped, with mobile phone and internet penetration rates at 20 percent and 10 percent respectively in 2014, according to the World Bank, two private telecoms operators started operations in late 2014, pointing to significant increase in mobile phone and internet penetration. Indeed, the latest figures from agency We Are Social’s report on Southeast Asia Digital in 2015, released in November, reveal that mobile adoption is accelerating at a staggering pace across the region’s less developed markets, including Myanmar. Figures show that the number of mobile subscriptions in use in the country have doubled from 15 million in the fourth quarter of 2014 to more than 30 million at the present time. 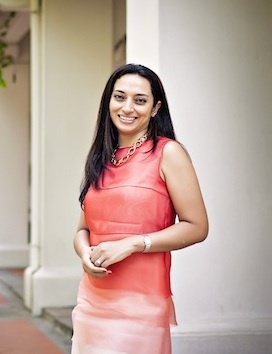 Sonya Madeira is founder and managing partner of Singapore-based Rice Communications, which opened an office in Yangon, Myanmar’s largest city, in January with a team of three. Its clients in Myanmar include Bosch, where Rice is building its business profile through media relations and the German Myanmar Business Chamber, which aims to create business opportunities for German and Myanmar companies in both markets. The Chamber recently launched in Myanmar and Rice was responsible for managing media relations. 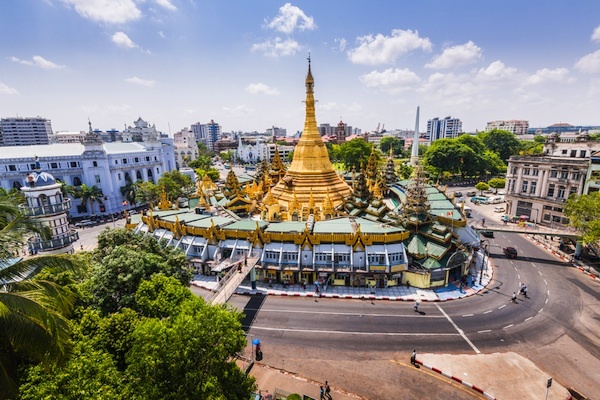 Madeira (pictured) believes the PR industry in Myanmar is developing rapidly and she hopes to see a greater appreciation of the role of communications in business, as well as a conducive operating environment comparable to neighbouring countries in southeast Asia. "A few years ago, there were just a couple of agencies on the ground and while it is still early days, there is growing interest," she says. "There’s still only around 10 PR agencies visible in the market and, even then, not all are providing services strictly in PR with several being public affairs, or marketing and advertising focused." Madeira is seeing appetite for both traditional and digital services from clients. Unlike more mature markets where traditional media relations was the mainstay for years, the Myanmar economy has effectively "come online" at a time when digital channels are prevalent. Some estimates, adds Madeira, have 80 percent of all internet users in the country owning a Facebook account. "This means that organisations that are looking to do external communications realise that today’s universe isn’t just traditional, so a more integrated approach is needed," she believes. "Having said this, there are vast areas of the country without access to the internet, and other approaches will be more relevant. For many companies looking to engage in external communications for the first time, it’s one step at a time and the first step tends to be traditional media relations." Going forward, Madeira believes the challenge for the PR industry in Myanmar is one of education and maturity, as, she says, many organisations don’t appreciate how communications can benefit their business in the short and long-term. "But it really is just a matter of time - as the market matures and people’s understanding of the role of communications becomes more sophisticated, demand for the services of PR agencies and the value of internal PR practitioners will increase," she says. There are several industries in Myanmar that present the most opportunity for the PR industry. Madeira identifies fast growth sectors such as mining, telecoms, tourism, and automotive, where communications can have an immediate impact on sector development as well as real business impact for organisations operating in these areas. And, adds Madeira, regardless of the recent election result, Myanmar’s economy will continue growing. While growth may be moderate, she believes there’s too much momentum to seriously stifle the progress that has been made. Thit Thaw is general manager of Vero PR, which has offices throughout Southeast Asia, in Myanmar, Thailand, Vietnam, Laos and Cambodia. Since the launch of Vero as the first international PR agency in Myanmar following suspension of sanctions, the agency has coordinated PR campaigns and market entry programmes for a number of multinational companies, including Ooredoo, Lotte, UOB, McKinsey Consulting, Fuji Xerox and True IDC Myanmar. "We have supported our clients with brand introduction/awareness, stakeholder engagements and strategic counselling," says Thaw. "As the Myanmar market begins to play a key role in the region, interconnecting geographically, economically and politically, many multinational companies will start to focus their efforts in the region by linking to PR agencies like Vero, with offices in multiple markets." Thaw (pictured) too is seeing more opportunities in the PR industry in Myanmar, as more international companies are coming in and local big names start to respond to this new competition, alongside demands in the market that are increasing with the country’s transformation. "As everyone can now see the opportunity for the country to fully open its doors to business, I believe the PR industry will really boom in the coming years," he says. "The local conglomerates tend to have their own PR teams but as the capacity for PR still needs to develop a lot in Myanmar, they might hire experienced international staff to cope with that. All the incoming international companies also need to link their PR teams with local PR agencies." One of the biggest challenges facing the industry in Myanmar is making the concept of PR more popular, with Thaw noting a lack of training and university or college courses in the country where locals can learn communications. Moreover, believes Thaw, PR is not a topic that students from Myanmar choose to learn abroad, unlike other subjects such as medicine, engineering, IT and accounting. 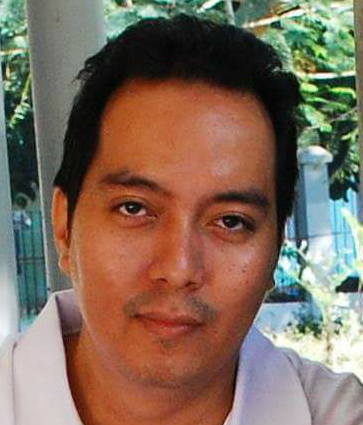 "This means there are just a handful of local PR professionals in Myanmar," he says. "The agencies have to rely on local support and insight – they need to train the locals who have industry potential so that they can contribute with key local elements for the business." The new government will also need sound PR practices and approaches, believes Thaw, and PR will also become crucial for the newly elected government. "PR will be used strategically by big companies which have sizeable competition in respective markets such as, but not limited to, telecoms, banking, airlines and beer," he says. "And those local conglomerates and businesses which are notoriously marked as cronies and need to restore brand reputation, will also rely strongly on PR."